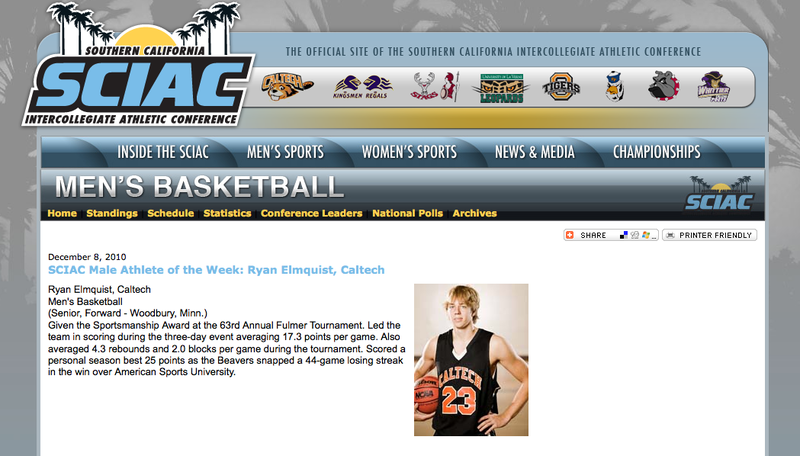 The SCIAC announced Caltech senior captain Ryan Elmquist earned Athlete of the Week honors for the week ending December 10. 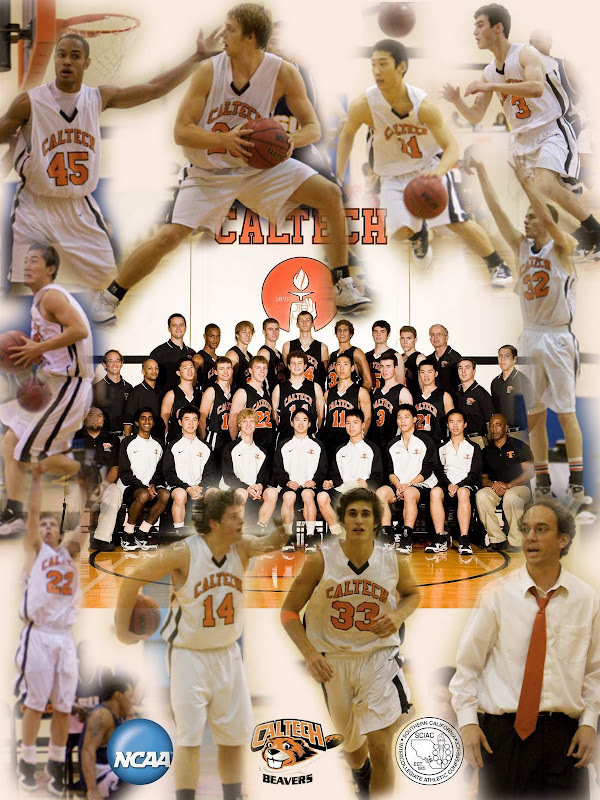 Read the Caltech release here. 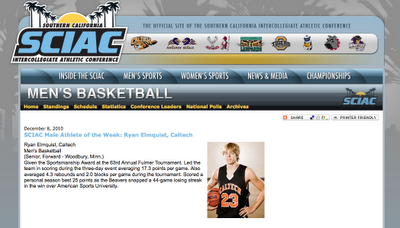 See the official news on the SCIAC site here.